Blogging isn’t just for bored teenagers anymore. According to HubSpot, 53% of marketers prioritize blogging as their number one lead generation tactic. However, with the number of blogs online set to reach around 31.7 million in 2020, it’s important to find a way to stand out. One of the most important things you’ll do when you first launch your blog is decide what to name it. A great blog name is a fantastic way to differentiate your business online. However, it’s very difficult to find the right title in an increasingly saturated marketplace. Once you’ve chosen a blog or domain name, it will stick with your brand forever – even if you decide to change your website in the future. With so many names already taken, how do you find the one that’s right for you? The simple answer is to use a blog name generator. Why Use Blog Name Generators? First impressions are crucial in the heavily-populated blogosphere. A great domain name will increase your chances of people remembering your company, and potentially help you to build a stronger reputation online. On the other hand, the wrong name could lead to ridicule or obscurity. Though marketers who prioritize blogging are 13 times more likely to get a positive ROI on their campaigns, launching a successful blog isn’t as simple as it seems. Every decision you make is vital, including what you choose to name yourself. Can’t find a name that hasn’t already been taken. Here are our top 10 choices for the best blog name generators. Finally, NameQL is a simple but effective name-finding tool, perfect for people who don’t want to waste time on hours of brainstorming. The service works a lot like your standard Google browser. When you start typing a keyword into the search bar, NameQL will suggest options for what you might be searching for by adding prefixes and suffixes to your term. Once you’ve entered the full term you want to search for, you can skip through pages of potential options until you find the one that’s best for you. Click on one of the name suggestions, and you’ll automatically get the option to either “save” the blog name for later, or buy it from a hosting company. 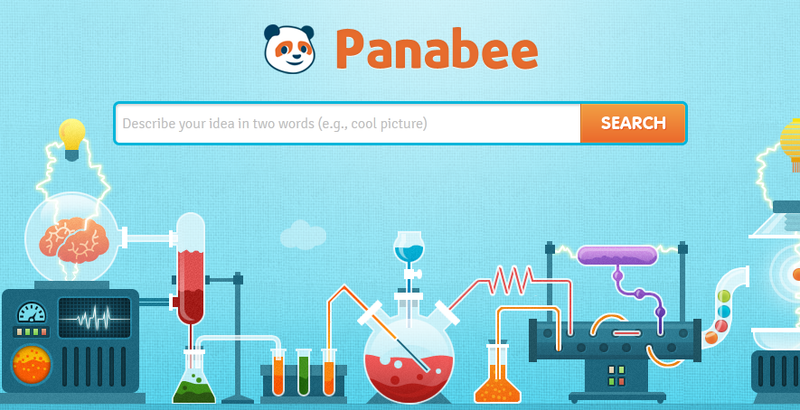 First on our list of the best blog name generators is Panabee – a domain name site that goes beyond offering different phonetic versions of the same domain phrase, and provides ideas based on searches through some of the largest social networks in the world. By browsing through Twitter and Facebook, Panabee can suggest names based on what customers talk about when they mention your keywords or phrases. All you need to do is enter two words that describe your business to get started. For instance, if you’re running a digital marketing company, you might search for “Digital Marketing.” Panabee also features a translation function and allows you to search for relevant phrases on Wikipedia. If you find a domain name you like, you can buy it through GoDaddy. 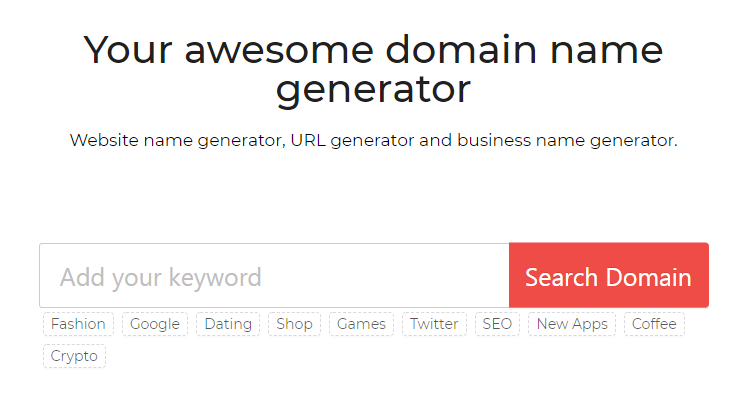 DomainWheel is a simple yet creative blog name generator. The great thing about it is that it shows a list of available domain options, so you can make sure that you have a range of choices to pick through. To use the system, just add in your keywords of choice, then click on “Search Domain” to start the wheel spinning. DomainWheel delivers three types of results to choose from. The first category includes all the top domains that you might want to buy like .com or .org. This list should consist of domains with one or both of your chosen words. The second list includes some of the names that DomainWheel has generated itself, which may feature words related to your terms. The third list offers suggestions for terms that sound like your keywords. Anything that shows up in green is available to buy. Click on the domain name to find out where you can purchase your domain. NameMesh is another of the best blog name generators around, offering up to 6 million different suggestions for your new domain. As a source of creative inspiration, NameMesh is excellent for when you’ve run out of ideas for your brainstorming session. 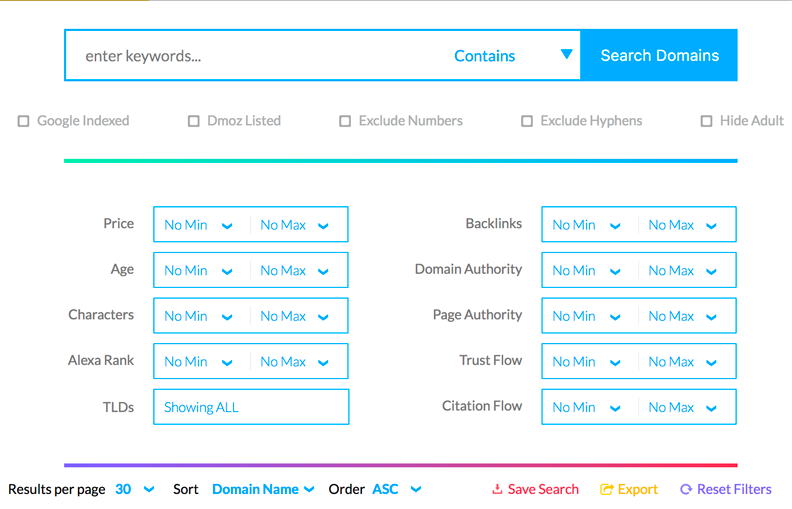 The names that you get from this tool will be categorized into eight different themes, including “common” titles, “new” domains, and “SEO” options. If you’re looking for something that’s specifically designed to rank well for the keywords you’re searching for, then we recommend going for the “SEO” options. If you find a range of titles that you like, but you don’t want to commit to one straight away, NameMesh also allows you to create a “favorites” list. Simply save your titles to your list, and you can compare them when you’re done searching. Lean Domain Search is one of the best-known blog name generators on the market today. If you’re looking for a speedy solution to your naming woes, then this site is packed full of fantastic ideas. The search engine is so powerful that you can gather thousands of suggestions within a matter of seconds. To help you make the best choice, the site also ranks answers according to popularity. Although, if you’d prefer, you can also set the system up to rank your suggestions by things like “length of domain” or alphabetical order. Lean Domain Search also sets itself apart by crawling through Twitter for usernames that aren’t taken. This is a great additional feature for people who want to make sure that they can set up their social profiles straight after they’ve built their website. Once you’ve found a name that you like, you’ll be able to buy it on GoDaddy or BlueHost. Impossibility might not look like the most advanced blog name generator in the world, but it’s incredibly easy to use. If you’re looking for something quick and simple to kick-start your creative process, this could be just the application that you’ve been searching for. All you need to do is add a keyword to the search bar and give Impossibility permission to add adjectives and other words to your term to generate a potential domain name. Since shorter domain names are often more memorable, Impossibility also includes the option to adjust the length of the adjectives you use according to the word that you want to search for. If you’re worried about falling in love with a domain name you can’t have, it will help to know that all of the results are based on domains that are ready to register on GoDaddy and other hosting sites. Each suggestion includes a hyperlink to a domain hosting site. We picked Domain Hole as one of the best blog name generators for 2019 because of the fantastic level of detail it brings to finding the perfect domain. There are many different kinds of searches available for you to run on Domain Hole, including the “Name spin” option, to change up names that are already taken. You can also search specifically for URLs that have recently expired. There are about 10 different filters you can use to refine your options too. For instance, you can decide whether you want your domain to be a specific price, or whether you need the name to have a certain domain authority. You can also choose to exclude hyphens and numbers that may make it harder for customers to find your website or remember your URL. If you’re looking for a comprehensive domain search option, Domain Hole is perfect for you. NameStation is another simple but effective way to boost your creativity when you’re looking for a domain or blog name. The great thing about this particular generator is that it rates the potential domain authority and quality of your results based on how search-engine ready your name appears to be. This is valuable for anyone planning a digital marketing campaign. Another great feature of NameStation is the available community-powered name resource. If you’re not impressed by the selection of titles that NameStation provides, then you’ll be able to check out what other people think you should name your website or blog based on the keywords you’ve input. After all, there’s nothing quite like human creativity. NameSmith isn’t just one of the best blog name generators around; it’s also a great resource if you need help naming your business, or product too. You can use the application to create completely random names from scratch, or you can let it play around with up to five keywords at a time to create an SEO-optimized title. NameSmith uses a lot of different strategies to find the perfect name for your site, including rhyming, prefixing, suffixing, or completely transforming the words you suggested. 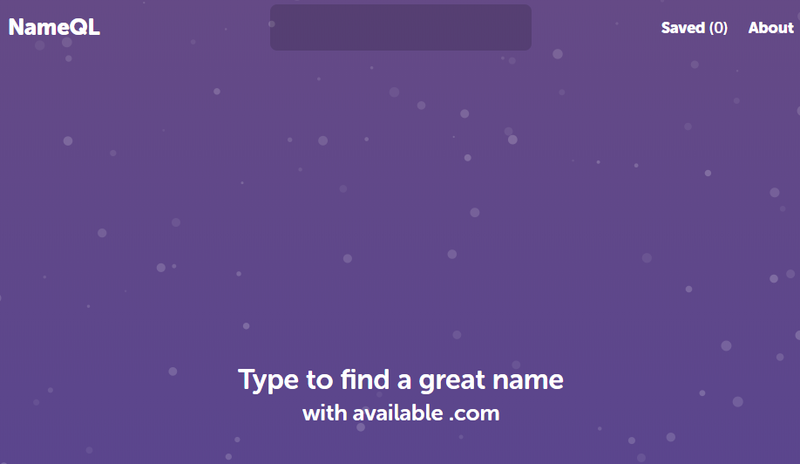 NameSmith also searches for the availability of domain names over 18 unique TLDs, and you can pick from between 4 different registrars to register your name in a matter of minutes. There you have it! 10 of the best blog name generators to support your creative side. Once you’ve got your name out of the way, you can start to build a powerful identity for yourself online so that everyone starts talking about your new business.